Louisiana Hotel Close to Shreveport Municipal Airport Louisiana's third largest city, Shreveport, sits near the borders of Texas and Arkansas. With the Shreveport Municipal Airport (SHV) located a mile from our door, you will find that getting to and from our Shreveport hotel is easy. Many of Shreveport's major businesses and tourist attractions are just a few miles away. Within six miles of our Shreveport accommodations are General Motors and the Frymaster Corporation. Locally owned and operated out of Shreveport, Frymaster has become a nationwide supplier of deep fryers. Cellxion's corporate headquarters are just 15 minutes away.Shreveport features a wealth of nightlife and entertainment. Our Shreveport hotel is within 10 miles of several casinos, including Boomtown Casino and Sam's Town Casino. Harrah's Louisiana Downs and Racetrack Casino are a little farther away from the hotel. Shreveport also features attractions for the entire family, including the Louisiana Boardwalk. Just seven miles from our hotel in Shreveport, this outdoor area features music, dining and shopping. Independence Stadium, home of the Independence Bowl, is also only minutes away.Our Shreveport hotel offers a variety of amenities including an outdoor pool, Fitness and Business Centers, free high-speed Internet access and a free hot breakfast bar. 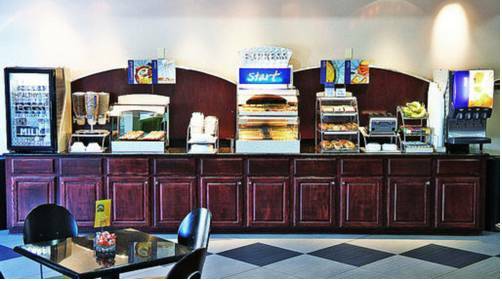 Stay Smart with us and see what our hotel in beautiful Shreveport, Louisiana has to offer you. Country Tavern Barbeque: Best ribs in town.